Our factory can support you very competitive price with high quality, we can help you save cost. You know we are ISO manufacturer, most of time we help our customers to solve their problemds together, what can we do for you? 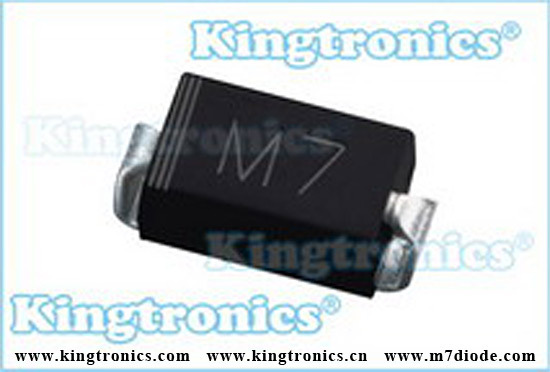 If you do not have demand of above diode and bridge rectifier, please check below, maybe you need them. Our total production lines: 43 lines. 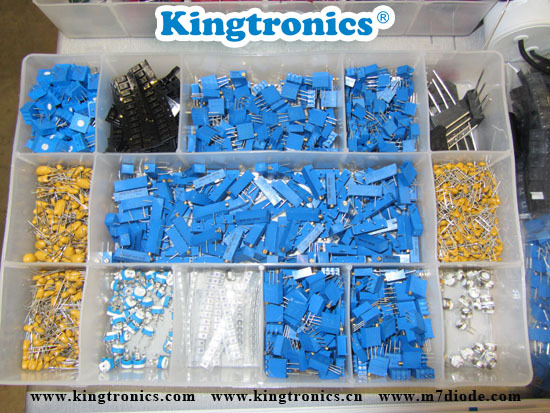 Kingtronics are ISO manufacturer , we have two factories, one is for passive component, the other is for active components, we sell them under our own registered band " kingtronics & kt & king ". Recently LL4148 and SM4007, M7 turn to be very hot in the market, we sell very well, do you have inquiry for these ? How are you? This is Sara from Kingtronics. I suppose you already have some impression on our company and products, right? From google searching you can find our website, blog or products photos, and you also can find us in some famous distributors line card like Avnet, Farnell. Such famous distributors are buying radial mlcc capacitors from us, so you dont need to worry about products quality. We have very fast delivery and good package. Do you have order or inquiry now? Kindly pls send me so that I can share you some ideas. I believe our price and service can make you satisfied. 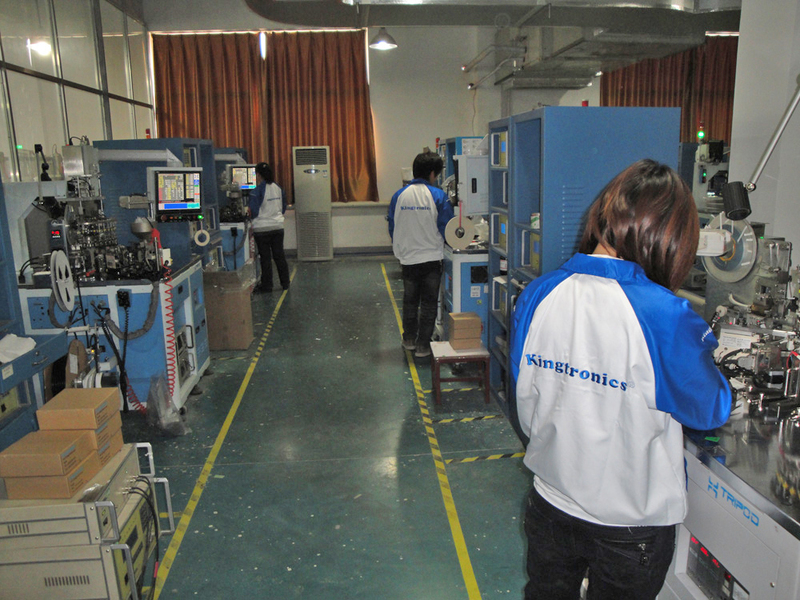 Pls feel free to emeil to sales2@kingtronics.com and we will give full support and excellent service. Look forward to hearing from you soon. Have a nice weekend. 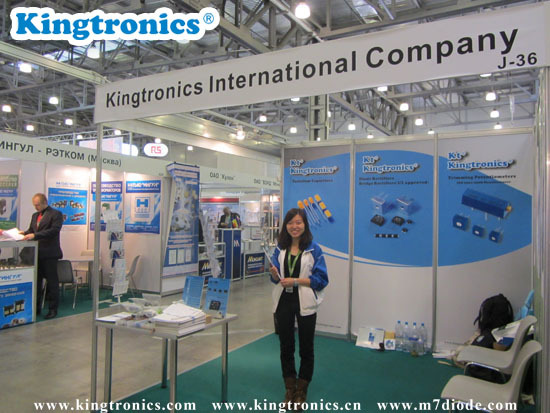 From April 11th to 13th, 2012, we Kingtronics exhibited at Expo Electronica Moscow. Booth No. is J36 in Hall 3. During the three days, we promoted our products actively and gained full success. 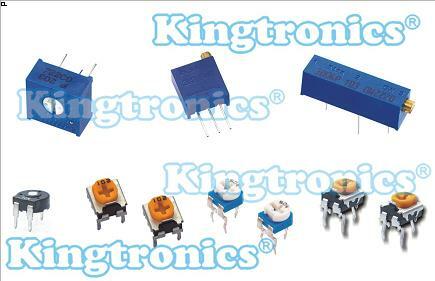 If you have related order/inquiry on hand, pls dont hesitate to contact info@kingtronics.com I will reply you soon. Thanks in advance. 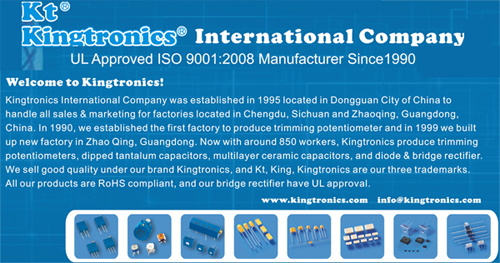 Our Kingtronics is ISO Manufacturer with two factories, we have more than 20years experience for producing diode, bridge recitifier, potentiometer, capacitors...Our components got approval with ISO, SGS and UL certifications. 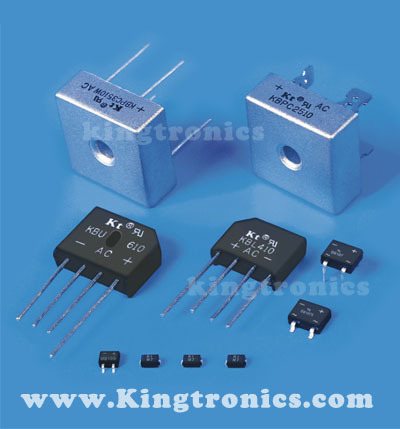 Do you buy diode and bridge rectifier? Here I would like to share with you our good offer. 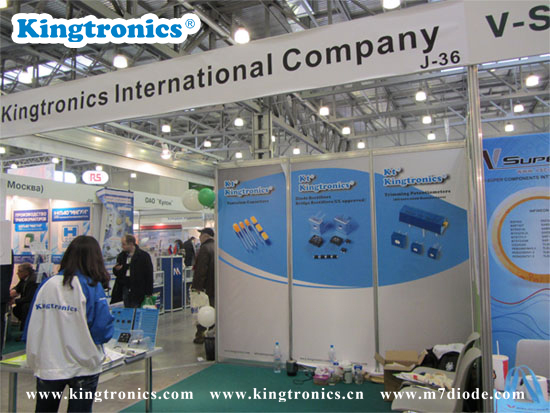 Kt Kingtronics Добро пожаловать на наш стенд на выставке Expo Electronica Moscow,J36 in Hall 3, April 11-13th. Добро пожаловать на наш стенд на выставке Expo Electronica Moscow,J36 in Hall 3, April 11-13th. Мы сертифицированы ISO & UL & SGS, мы производим широкий спектр компонентов на двух наших фабриках, ждем Ваших заказов, заранее спасибо. 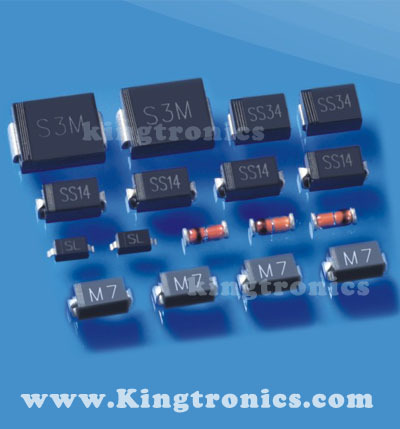 We kingtronics is one of the oldest factory for trimming potentiometers, we can provide you very good quality products with excellent price under our own brand kingtronics! Do you buy trimming potentiometers? That is no doubt kingtronics is your best choice! 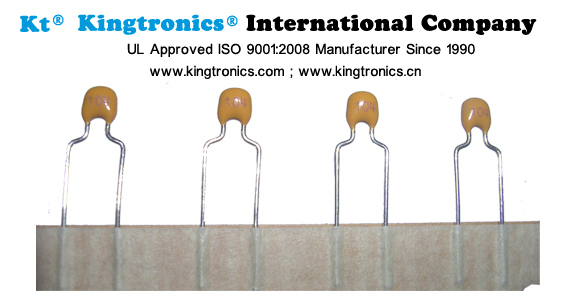 We Kingtronics are ISO 9001: 2008 certified, and our SGS is available. Could you please kindly visit our website, you will find our ISO certification and SGS certification on website, besides, we put Trimming Potentiometer cross guide on website. We can provide equivalent Trimming Potentiometer of Bourns, Murata, BI Technoly, Tocos, and Vishay. Please send me your inquiry for Trimming potentiometer.